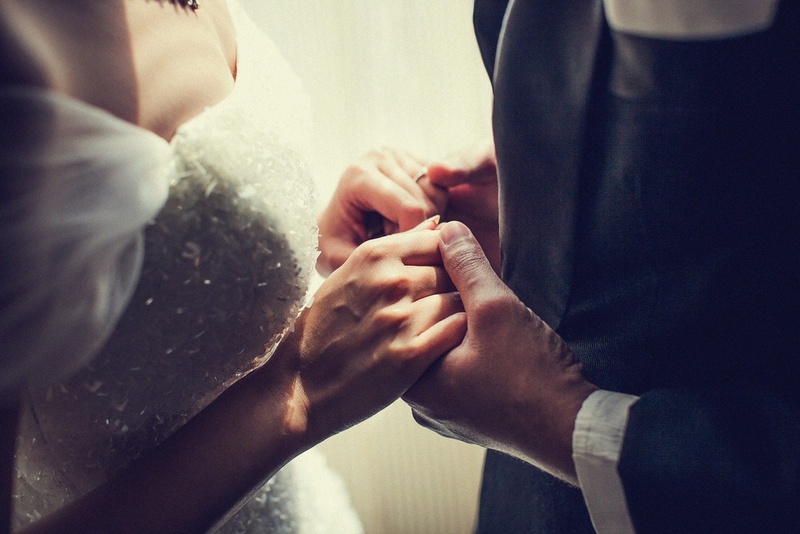 Vintage bridal jewelry adds an alluring dimension that complements a bride’s own stunning style on her wedding day. Delicate earrings inspired by the romantic and innocent Victorian Age, an artistic Art Deco pendant or an intricate platinum diamond bracelet designed in homage of the Edwardian Era all amplify the gorgeous grace and glamour of the bride. When selecting vintage bridal jewelry for the wedding day, a bride should find design inspiration from the vintage fashion periods that best reflect her personal and unique style. Each period classically referred to in jewelry design—Victorian, Edwardian, Art Nouveau, and Art Deco—all feature uniquely wonderful designs and artistic inspiration. Vintage bridal jewelry from the Victorian age embraces romance and delicate innocence. Floral motifs, looping patterns of ivy leaves, and dainty scrollwork all embrace the romance and sweet virtue of the era that was ruled over by Queen Victoria. 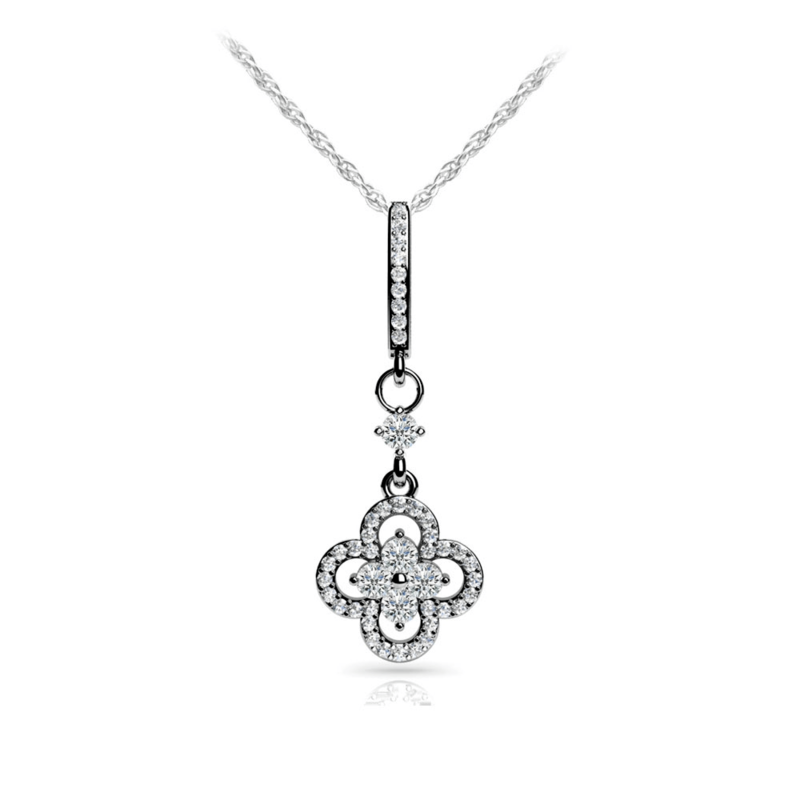 The Petal Diamond Drop Pendant necklace channels the charm and sincerity of the Victorian Age. A total of 46 diamonds create the beauty of the white-gold pendant—including one 0.07 carat round brilliant diamond center stone. The delicate floral pendant can be displayed on either a 14-inch, 16-inch, 18-inch or a custom length chain—depending, of course, on the bodice cut of the dress. Edwardian Era-inspired designs often feature milgrain details crafted in rich platinum; jewelry of this era was artfully elegant, uncompromisingly grand and featured extraordinary intricacies. King Edward VII inherited the throne after the death of his mother, Queen Victoria. Edward’s reign was highlighted with extravagance, and the jewelry of this era epitomized the regality of his reign. Platinum was the metal of choice, and no detail was spared in design. 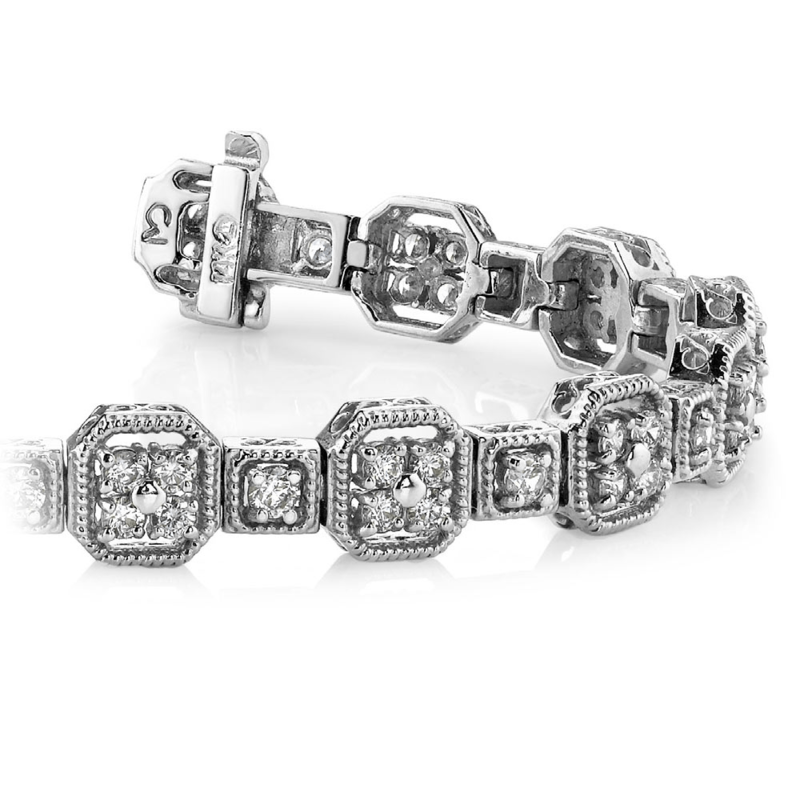 To create a look inspired by Edwardian luxe, choose a bracelet that drips in diamonds and milgrain. The Vintage Milgrain Diamond bracelet is the perfect example of vintage bridal jewelry that can be designed to accommodate a vast number of diamond carats. For a truly show stopping statement, go bold with three carats of round brilliant diamonds all hugged with delicate etched milgrain. For someone who is budget conscious white gold makes a fine alternative to platinum, but, of course, it may be customized in platinum for that true Edwardian style. 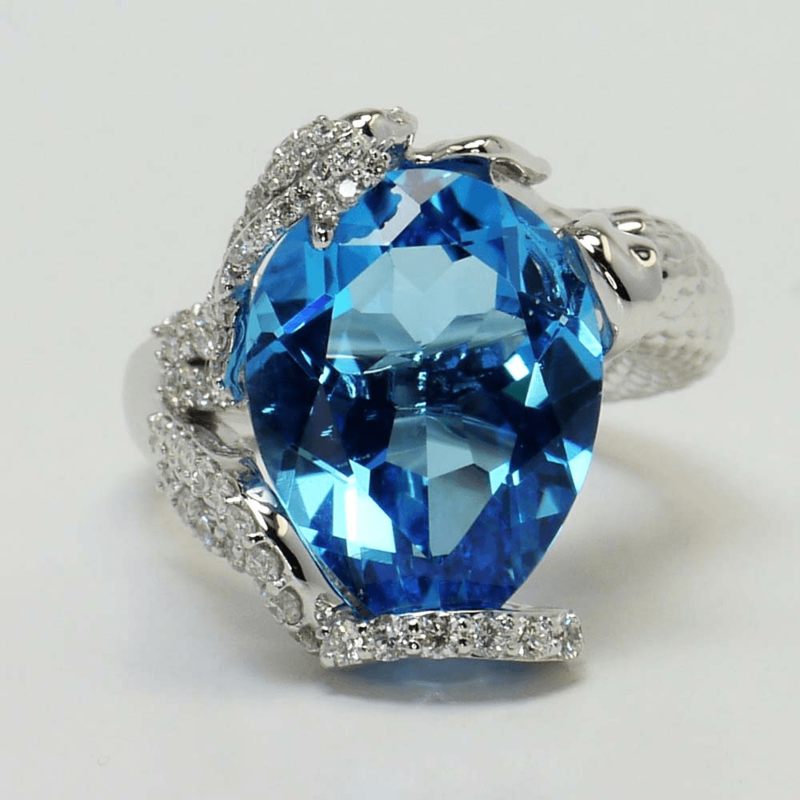 Wear a modern Art Nouveau-inspired Custom Mermaid ring that features a sultry siren holding the bride’s ‘something blue.’ A white gold sculpted mermaid swims around the finger with her hair outstretched among the waves as she clenches a bold 12.2 carat pear-shaped ocean blue topaz. For the bride who favors the elegance and decadence of the 1920s, choose large Art Deco statement pieces like intricate dinner rings, magnificent brooches or bold pendants. 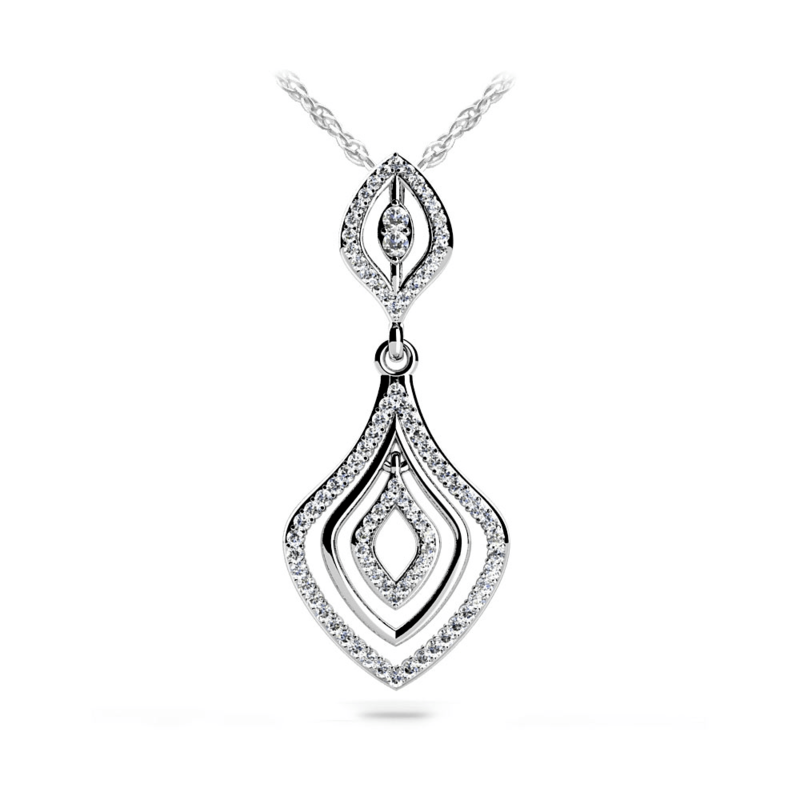 For an Art Deco-inspired look, the Antique Diamond Drop pendant creates a dramatic statement. The pendant showcases a small white gold diamond-encrusted rhombus that surrounds two stacked round diamonds. Hanging from this beautiful design are three more nested rounded rhombus segments, with the outside and innermost pieces also encrusted with brilliant diamonds. The unusual shapes fit right in with the sculptural and architectural designs of the Art Deco Period. This stunning pendant pulls from old Hollywood elegance and plays well with dramatically beaded dresses or breathlessly flowing tulle column gowns. Find inspiration from the past for bridal jewelry that adds glamour and elegance to wedding day style. Modern jewelry that borrows from past periods elevates the drama of the dress and adds a touch of feminine mystique that strays from tradition. Rings, pendants and bracelets craft a vintage vogue that complements the unique beauty and style of the bride to set the mood for a wedding day of blissful Brilliance.